Numerous researches have been done on social media and its negative influence on younger generation. However, contrary to the belief – a Pew Research Center report shows that some social media is actually good for the teenagers. 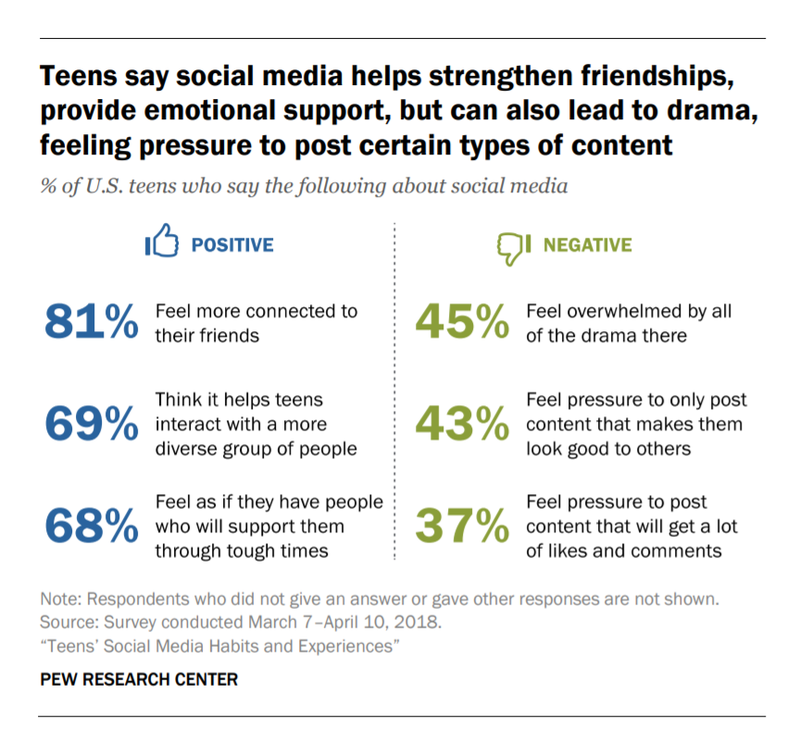 In fact, Pew surveyed around 743 teens for the report from which 81% claimed that social media makes them feel more connected with peers. Nevertheless, there are negative consequences of social media. In the survey, almost 45% of the teens have confessed that they are often overwhelmed by the drama that goes on social media. Moreover, another survey concluded that, 59% of teens have experienced some sort of cyberbullying through social media. 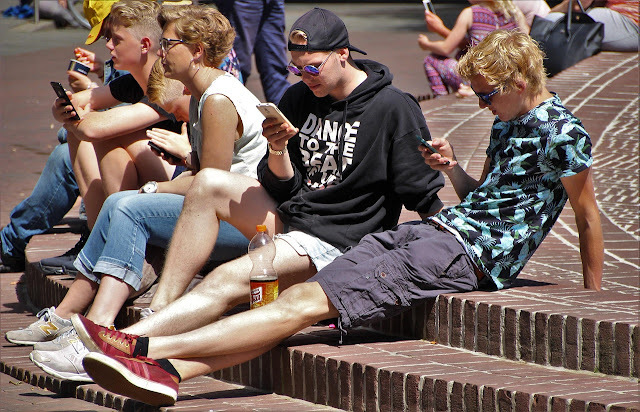 The data shows that most teens are not as apprehensive about social media as their parents are and perhaps there is some good in allowing your teenager to use social media. Above all, just like everything else in life, social media also brings both – positive and negative impact on the teens of America. With time, the technology trends will be clearer and maybe, experts of the field will make social media safer for the teen by controlling the freedom of speech, harassment, and bullying that occurs frequently.